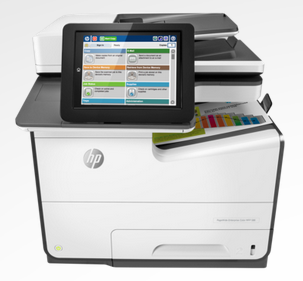 HP announced on Tuesday the launch of a bug bounty program for printers. The company is prepared to pay out up to $10,000 for serious vulnerabilities found in its products. The initiative, which HP calls the industry’s first printer bug bounty program, was launched in partnership with crowdsourced security platform Bugcrowd. The program is private, which means not anyone can participate. Researchers invited by HP have been instructed to focus on firmware-level vulnerabilities, including remote code execution, cross-site request forgery (CSRF) and cross-site scripting (XSS) bugs. The bug bounty program currently covers HP LaserJet Enterprise printers and MFPs (A3 and A4), as well as the HP PageWide Enterprise printers and MFPs (A3 and A4). HP told SecurityWeek that currently it’s engaged with 34 researchers. The company says the program covers only endpoint devices – printer-related web domains are out of scope – with a focus on print firmware. The company plans on expanding the program to its PC line soon, but it currently focuses on printers due to concerns that the technological advancements in this area make these types of devices an attractive target for malicious actors. HP noted that printers can not only provide access to the network that houses them, but they can also expose confidential documents.